This is a 4" X 4" art squared, chunky page or fat page. 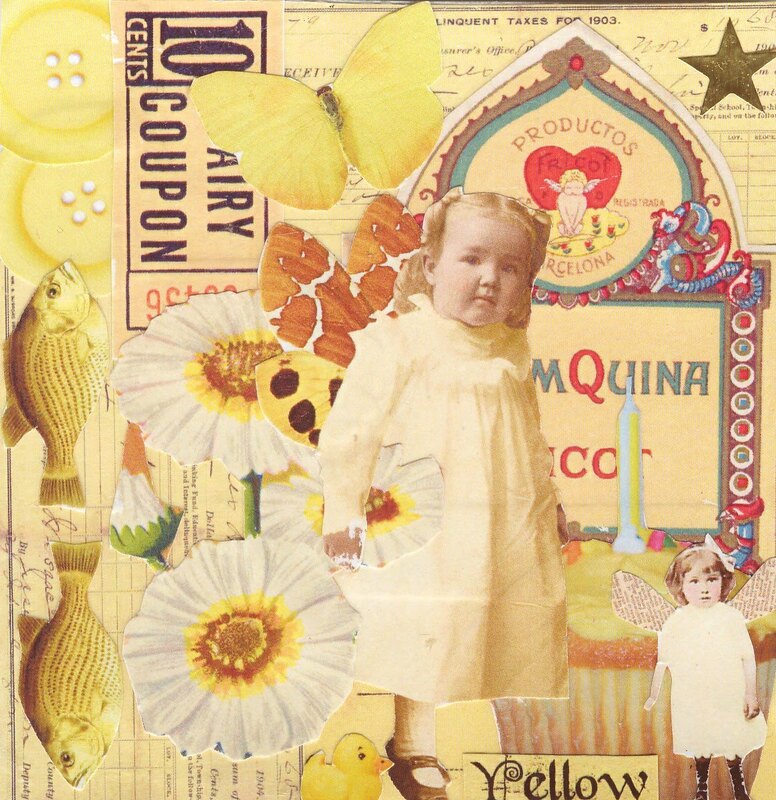 The images I have used are from a digital collage sheet by lisa's altered art. The collage sheet costs $1.00 yes $1.00, She has different colour collage sheets listed and other themes for this price, they are listed under the NEW section. Last night I couldn't sleep so I stayed up and made 6 fat pages and 2 skinny pages with these collages sheets, so it looks like a colour fat book is in the making. IF YOU WOULD LIKE TO SWAP THIS FOR ANOTHER YELLOW FAT PAGE , PLEASE E-MAIL ME IN PRIVATE. I hope that you manged to rest now? bella questa fat page, non ho ancora provato a fare niente di quella misura. Magari appena ho tempo provo.